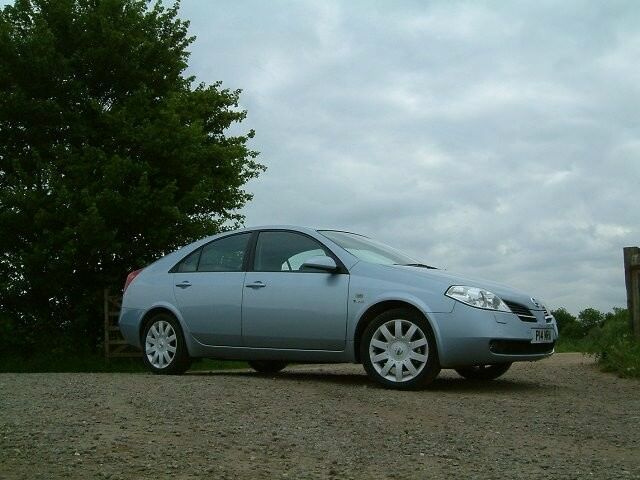 The Primera was a staple of Nissan’s range ever since it replaced the Bluebird in 1990, but when the Qashqai arrived in 2007 it was curtains for this capable family car. By that time the Primera was onto its third generation, and had evolved from a rather bland family model into a distinctive sector competitor. Along with its individual styling and its wide range of engines and body styles, the Primera represents excellent used value thanks to some weak residuals so the bargains are there for the taking. There are actually three different body styles to choose from here, but you wouldn’t know it down to the shape of the car. Sure the estate is very obviously a wagon, and the most practical of all the models, but at first glance there are little differences between the hatchback and saloon. On the used market it’s the latter that is by far the most abundant. Likewise the 2.2 diesel engined cars are few and far between; in fact less than 10 per cent of the examples on our used search feature this torque-rich oil-burner. Thankfully there is more choice with the petrol cars, including a relatively rare 2.0-litre, a more common 1.8-litre and a 1.6-litre - all four-cylinder units. One thing best avoided is the CVT automatic transmission, which makes for an unpleasantly raucous experience as the engines spin at far higher speed when accelerating than with a normal gearbox. Stick with the five- or six-speed manual gearboxes instead. Specification wise the early models came as Acenta, Visia and Tekna models, though mid way through the car’s life this changed to SE, SVE, T Spec and even the odd Sport model. Unless you really need an estate then it’s best off aiming for a hatchback or saloon - the latter is the most common, and thus reasonably priced of all those available. And unless you do big mileages then the diesel isn’t worth the hunt - find a reasonably low mileage 1.8 petrol instead, as there are plenty about. And aim for mid to high spec cars, either the Tekna if an early model or an SVE or T spec if after 2004, with a manual gearbox, and you’ll be set for family motoring for a while yet. The Primera is something of a left-wing choice (a Ford Mondeo is better to drive and a Honda Accord better built), but that doesn’t mean it’s without its own merits. In fact, if you like the styling and don’t need an estate or hatchback, then its availability on the used market plays right into a buyer's hands. Prices are low, and value for money is high so take your time and you’ll bag yourself a proper family bargain.